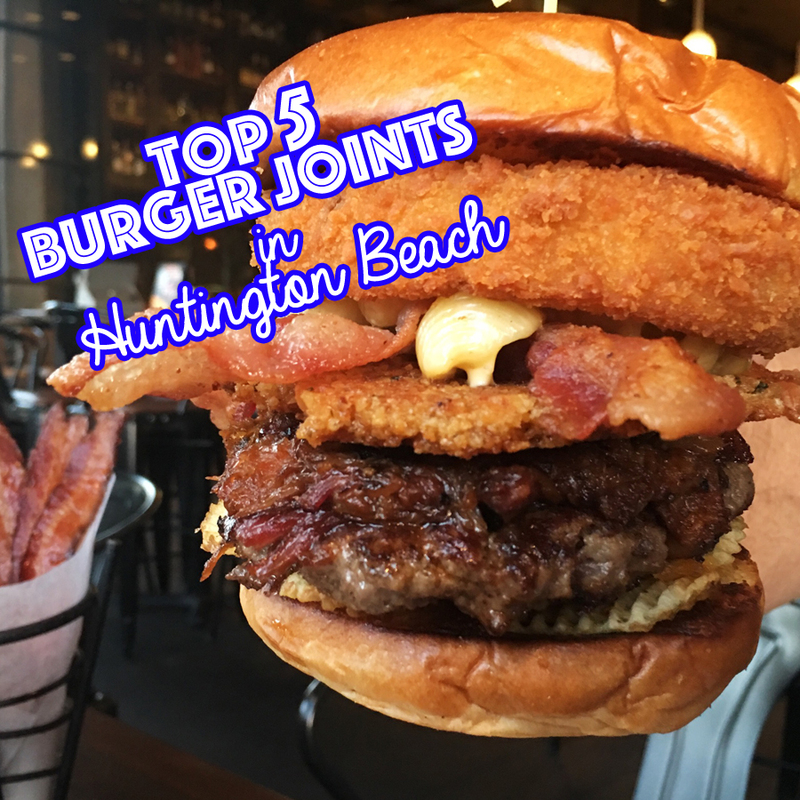 Several months ago our wives posted their TOP 5 MEXICAN FOOD PLACES IN HUNTINGTON BEACH, but we thought it was our turn to talk about some serious burger joints, so we took over the blog to present to you our TOP 5 BURGER JOINTS IN HUNTINGTON BEACH. The process actually took a lot longer than we initially thought. Who knew being husbands with full time jobs and school aged kids would leave us little time to hit up our favorite burger places and coordinate our thoughts? We were excited (and hungry) to try though. 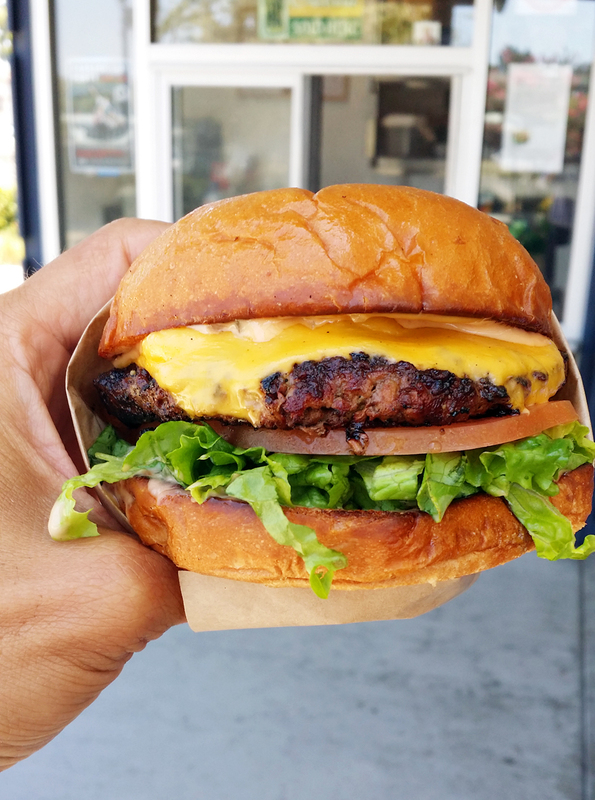 Our efforts took us to seven of the best burger joints in HB, ranging from small little dives to higher-end “build-your-own” custom burger places. Five of the joints will make our favorite’s list and two will be honorable mentions. 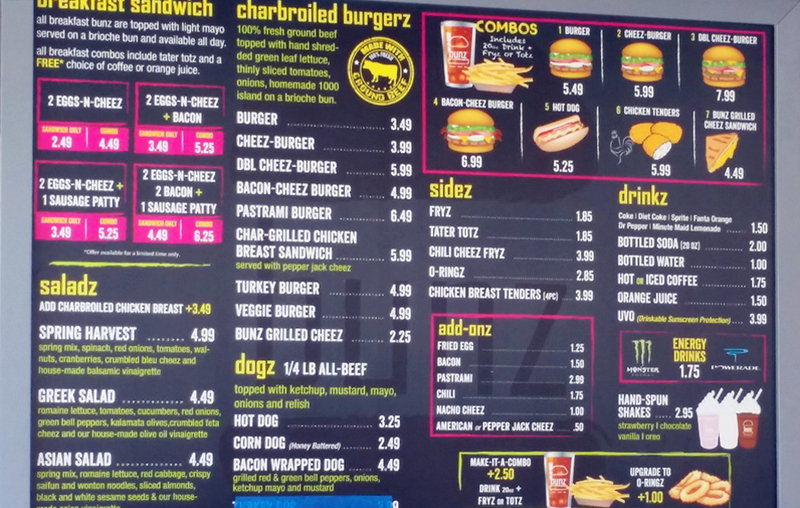 We decided to evaluate the burger joints based on the following criteria: taste, value, location, environment, service, and connection with the HB culture, in no particular order but with taste as the most important criteria. 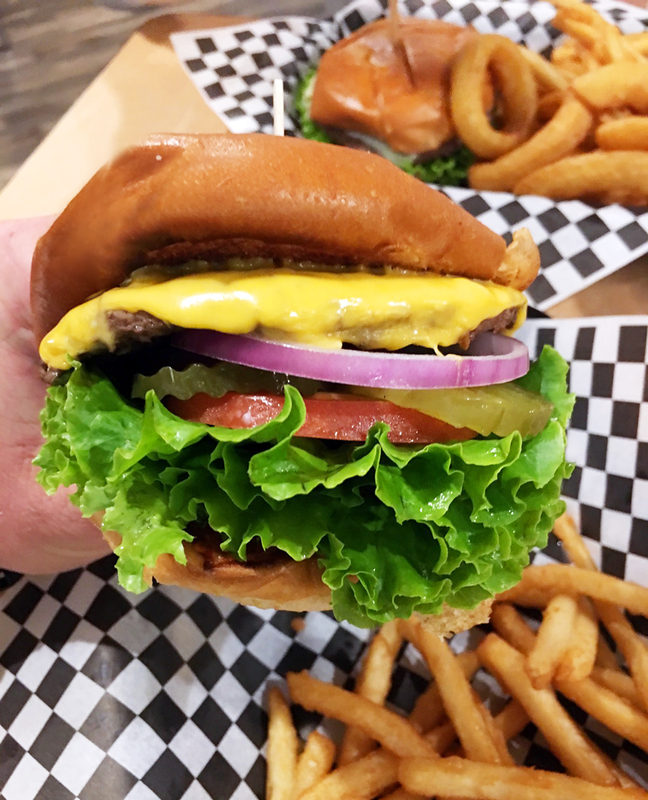 Since the selection of menu items varied quite a bit amongst the different burger joints we tried to level the playing field by focusing on one particular item, the classic cheeseburger. 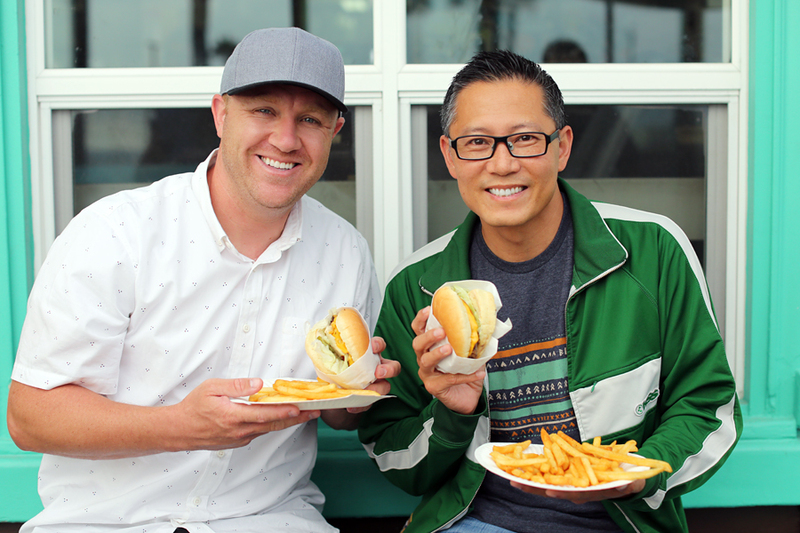 While we are fans of places such as In-N-Out and The Habit Burger Grill, we chose to select one-off, non-corporate restaurants for our favorite’s list. 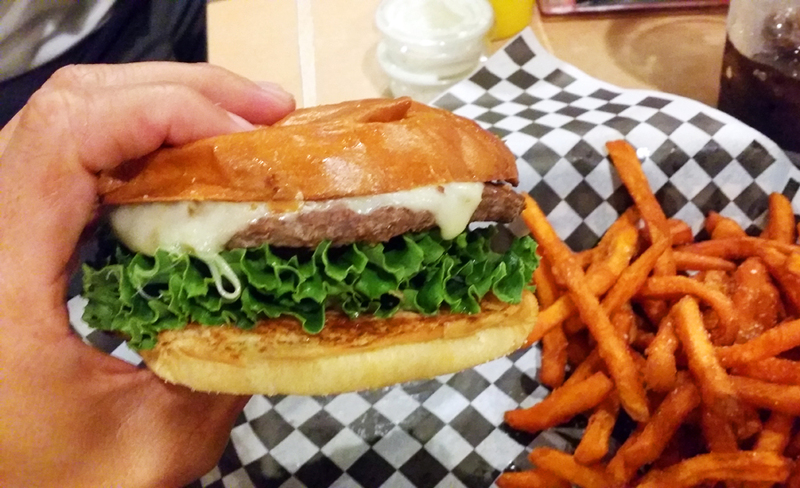 A simple burger with great taste. 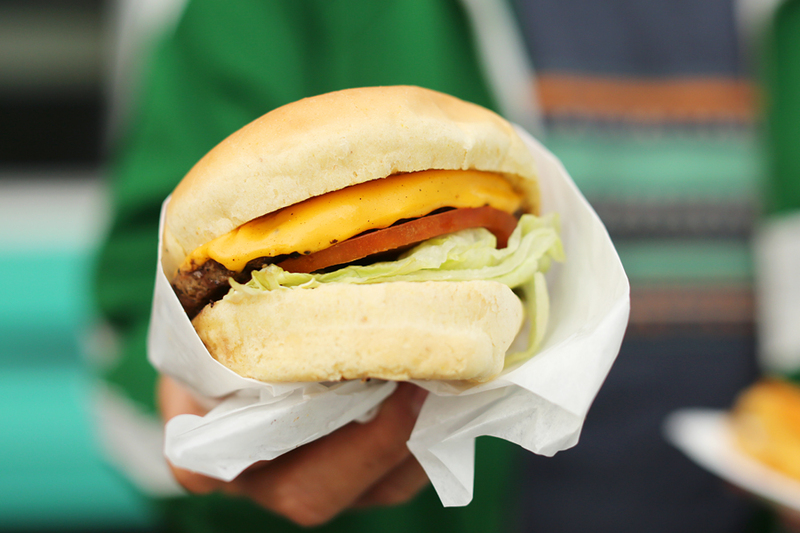 The patty is all beef, fresh and custom made to fit their bun. The service was good and everyone there seemed to really care about the quality of food they were putting out. It is located in the Old World Village (German Village) across from Costco. 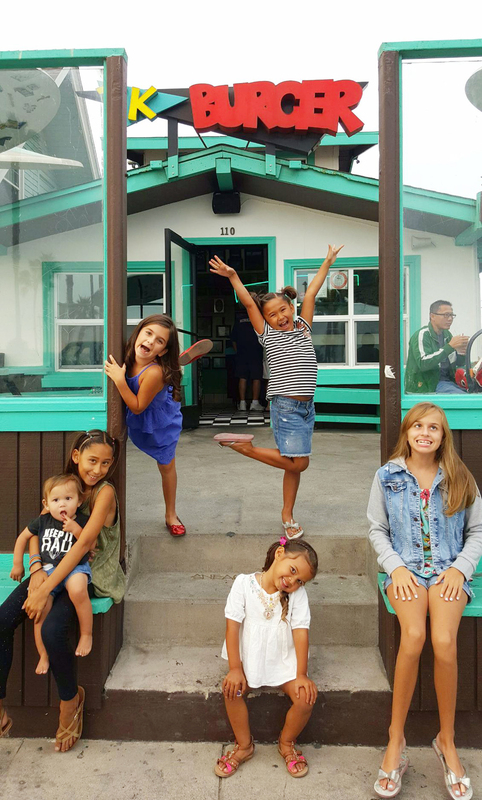 This is an iconic burger joint in HB and is a great example of a “Dive” in a very good way. 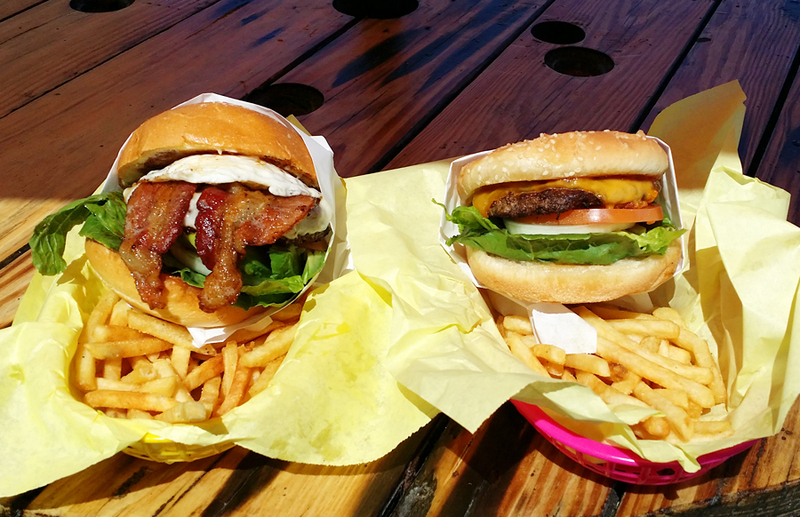 This dive though, is located right on PCH and offers a tasty, affordable burger with a great bun. 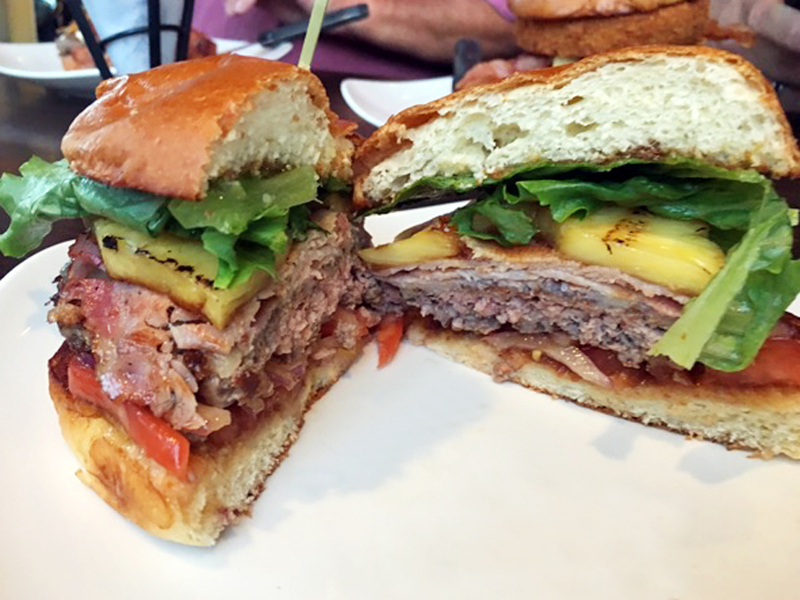 The patty gets most of the attention when people talk about great burgers, but the bun here is just perfect and adds a lot to the overall taste and texture. 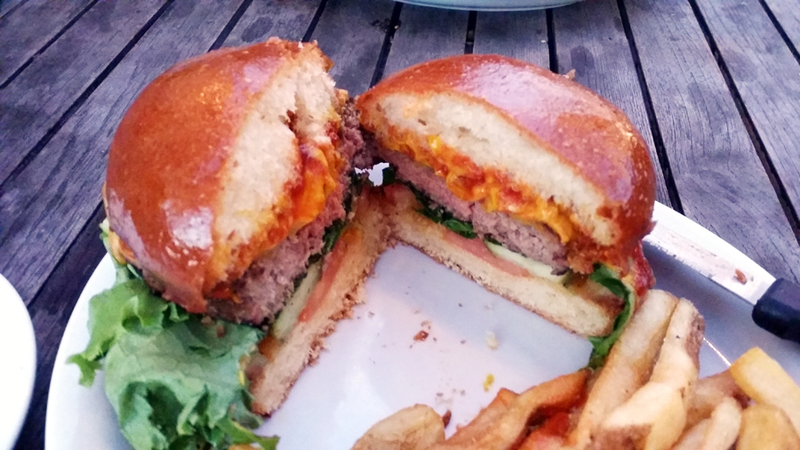 Throw on some fry sauce and you have all the components of a simple, classic, great tasting cheeseburger. 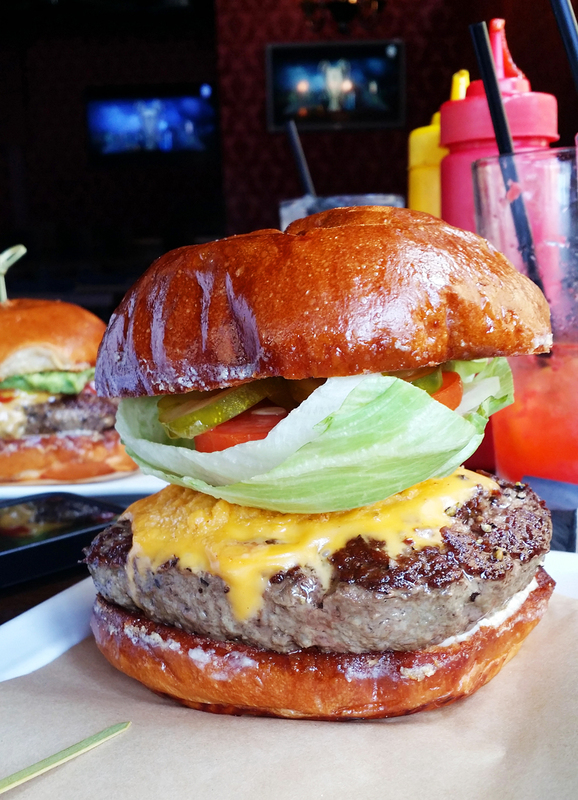 If you are ever in downtown HB searching for a funky joint with a seriously high quality custom burger look no further. The burgers here are BIG and tasty, even the standard cheeseburger. 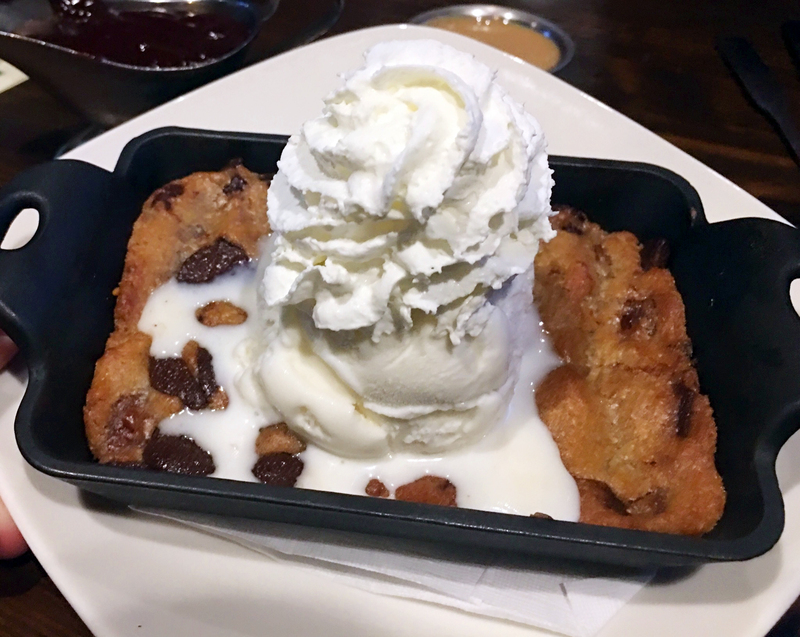 You can get it your way and add-on all the fixin’s your heart desires. This place is legit, no doubt about that. Whether you are alone or with your entire family this place is a game changer. First of all, it is family owned (mother and son) and they actually work there daily; mom works the front of house and son works the back of house. No absentee owner here and it shows. There is such a pride and quality in the food they put out. The menu is simple and everything is done very well. There is no better value than this place either; hands down/drop the mic. 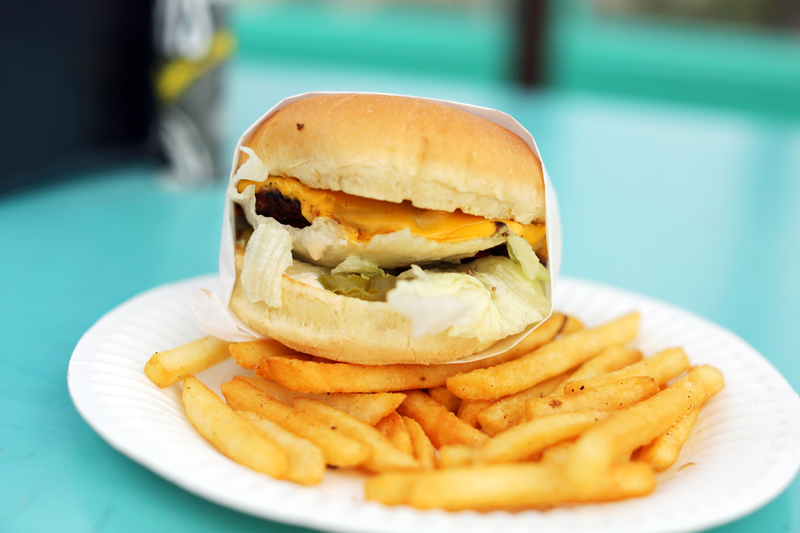 You can get a cheeseburger combo with seasoned fries or tater tots and a drink for $5.99!! What? You can’t even get that at Mc Donald’s. That isn’t to say the food isn’t fantastic either because it is. 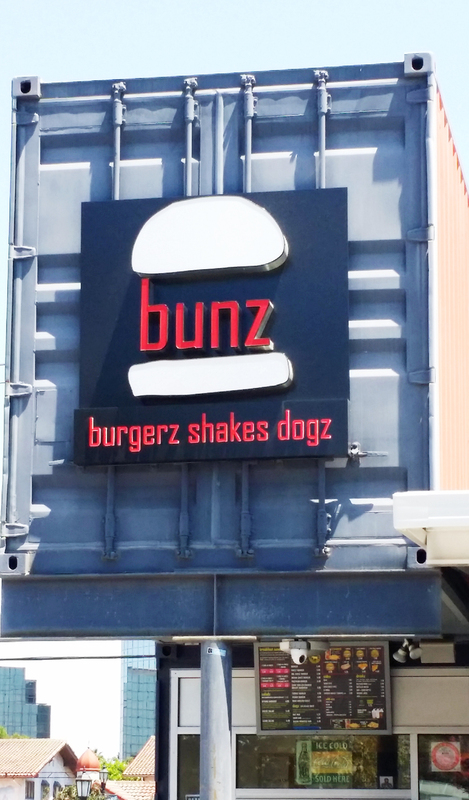 Bunz is located next to the Van’s skate park by Costco. I have been here several times and am still in disbelief that they can offer such high quality food at this price. 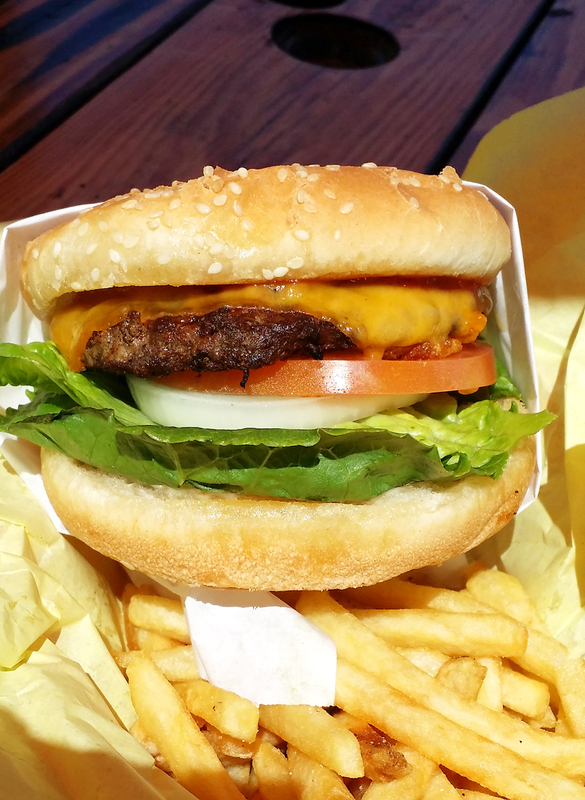 The burger patty is delivered fresh daily and is perfectly seasoned. 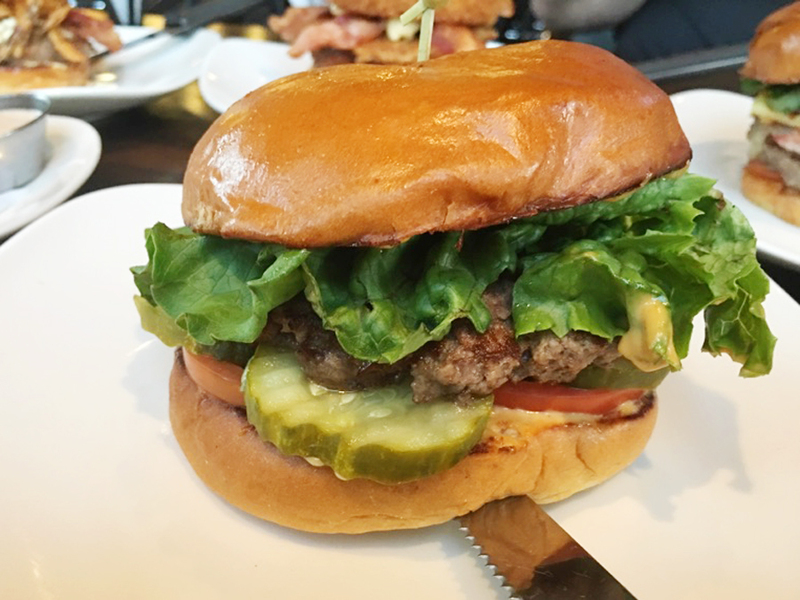 The burger is made to order and comes out hot and juicy. They add a bit of Thousand Islands spread and it’s ready to go. The fries are pretty dang good too. If you are in the neighborhood you need to stop by. 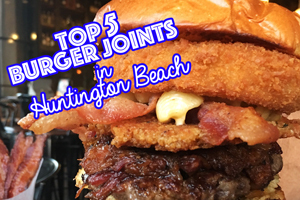 Drum roll please….Our number 1 burger joint is Stacked!! 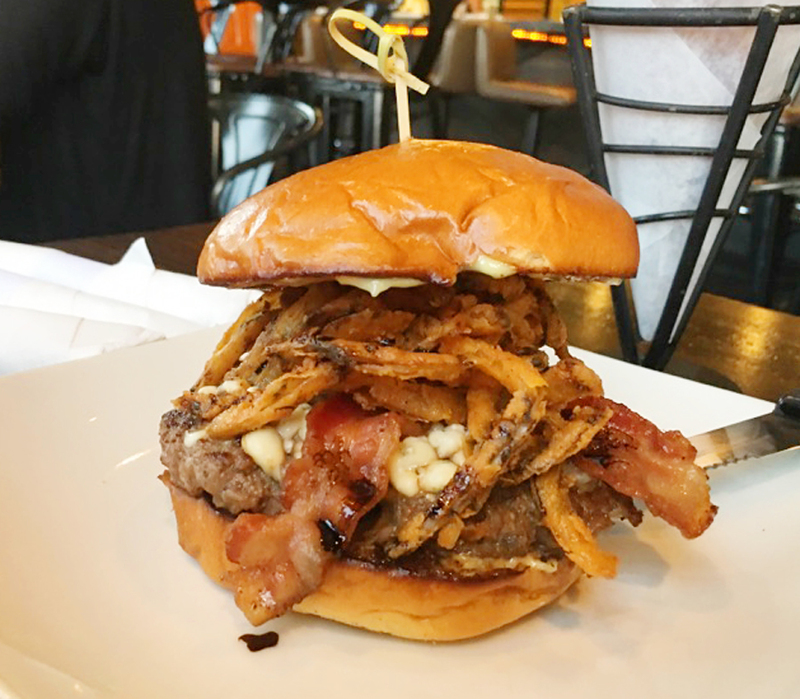 : First off, you should know that Stacked hosted us for a tasting event, but I would also add that we have been to this place no less than 10 times, both before and after the event, and it is my go-to place when I am craving a custom burger. I took my buddy from out of town here just a couple of weeks ago and he was blown away. 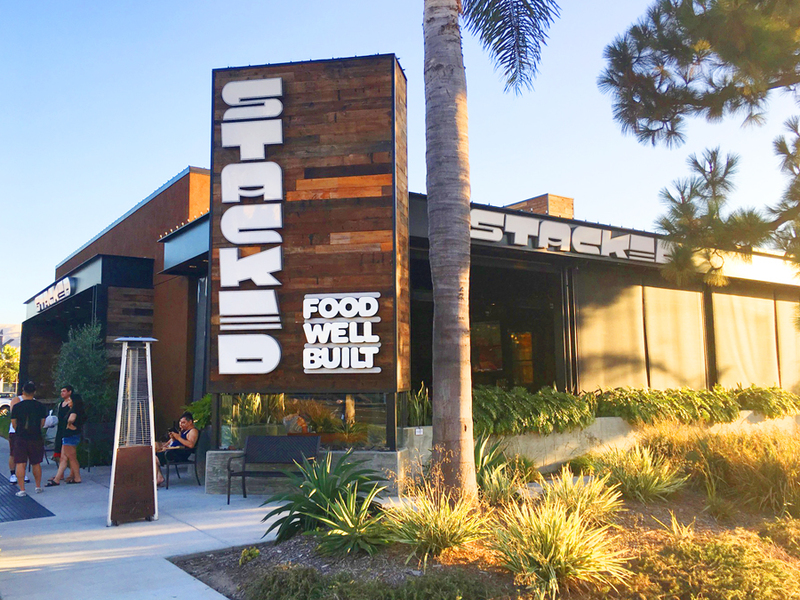 The reason stacked is number one is that the food is just spectacular. 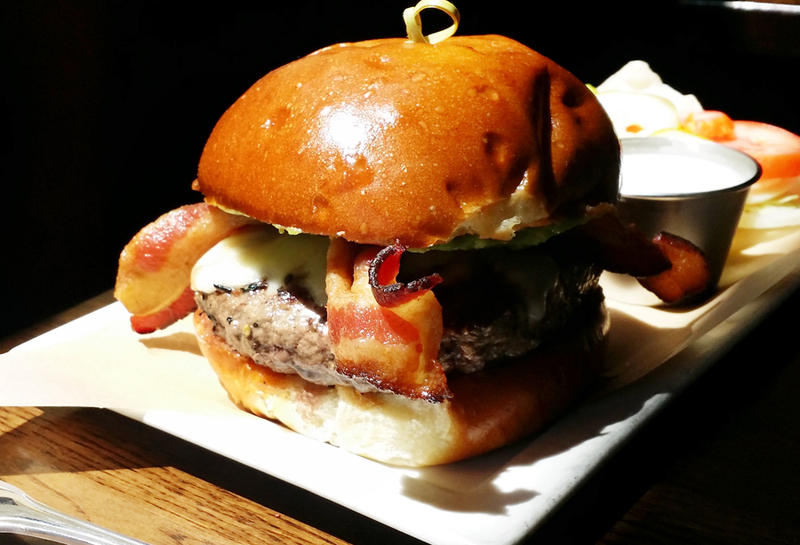 The burger is always fresh, juicy and cooked perfectly and the bun is fantastic, not too thin, greasy, or too dense. 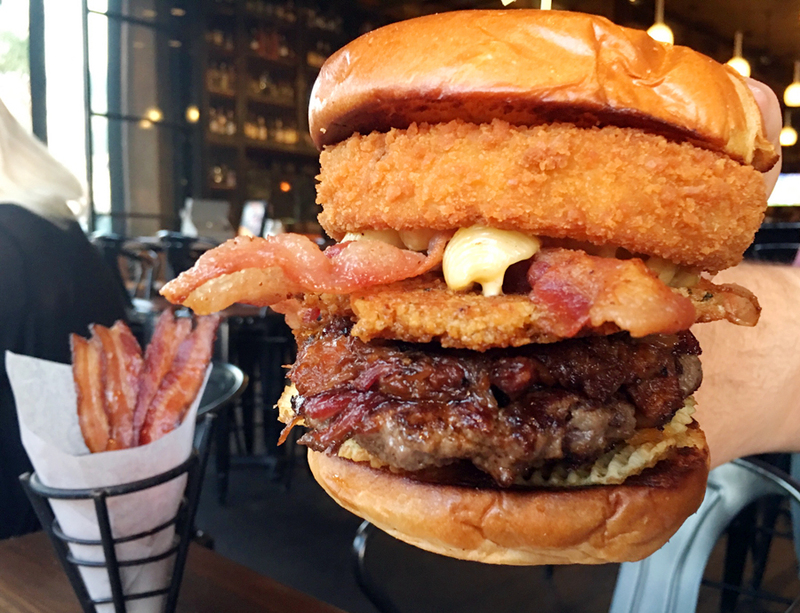 At Stacked you have the option of building your burger from the ground up, which is why they call it Stacked; add two patties, check, add mac and cheese, check, add chili, check, add onion rings, check, check, check. Any goodness you are craving they will stack it on for you. They do everything well. 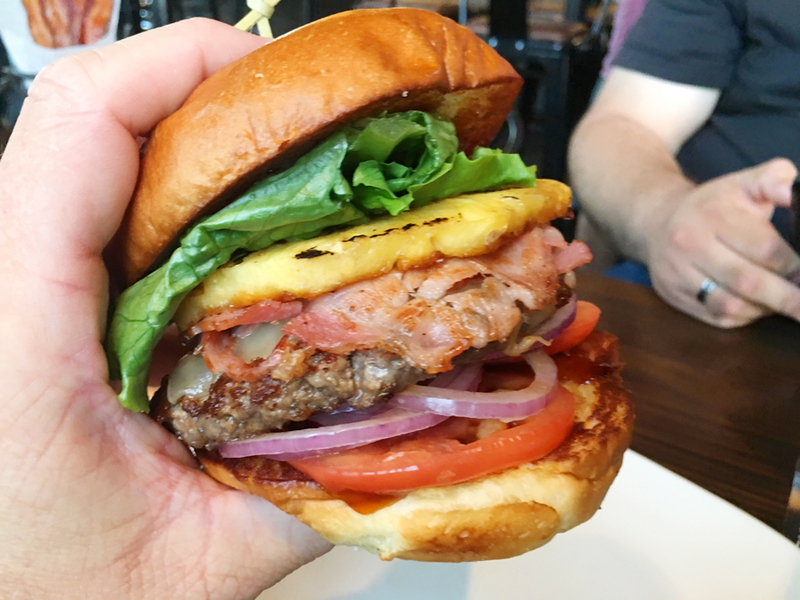 If you opt for something on the menu try the Hawaiian Burger; both Justin and I agree it is our favorite burger of any we tried (although for our evaluation we stuck to the standard cheeseburger). 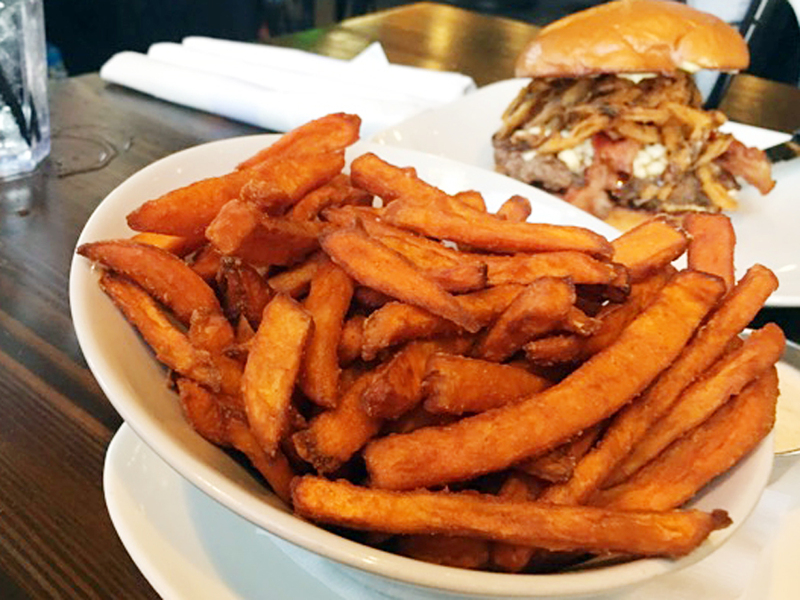 Don’t miss out on the candied bacon to start and the sweet potato fries with the aioli sauce either. 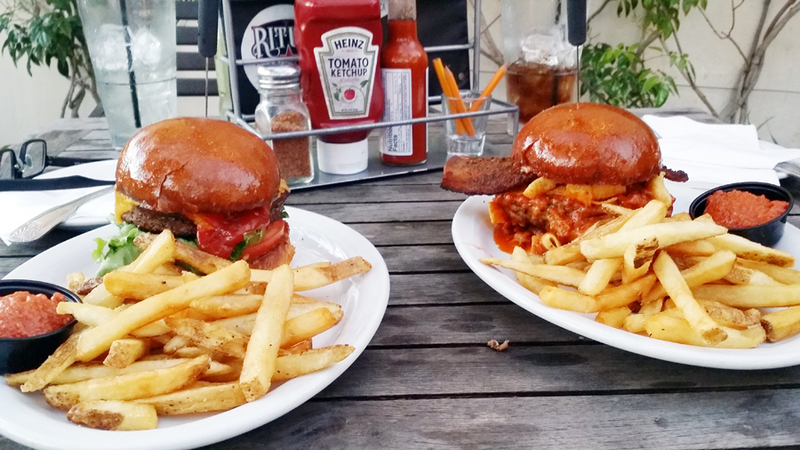 Stop by Stacked and you are going to walk away fat and happy, believe that. 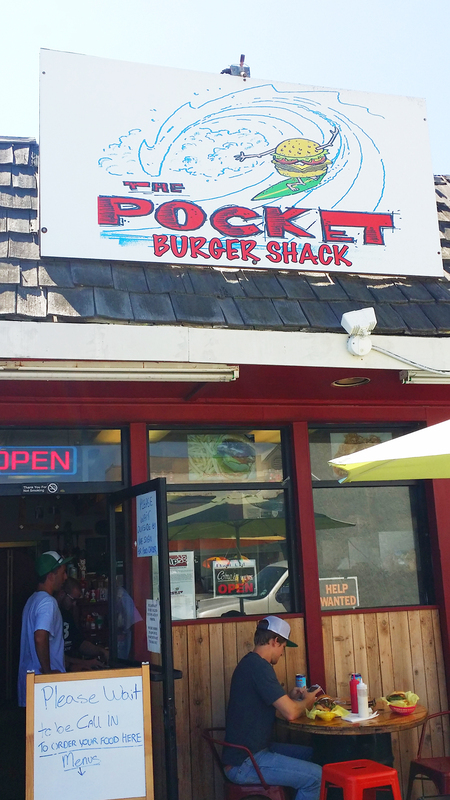 If we were doing a top 6, The Pocket Burger would make the list. 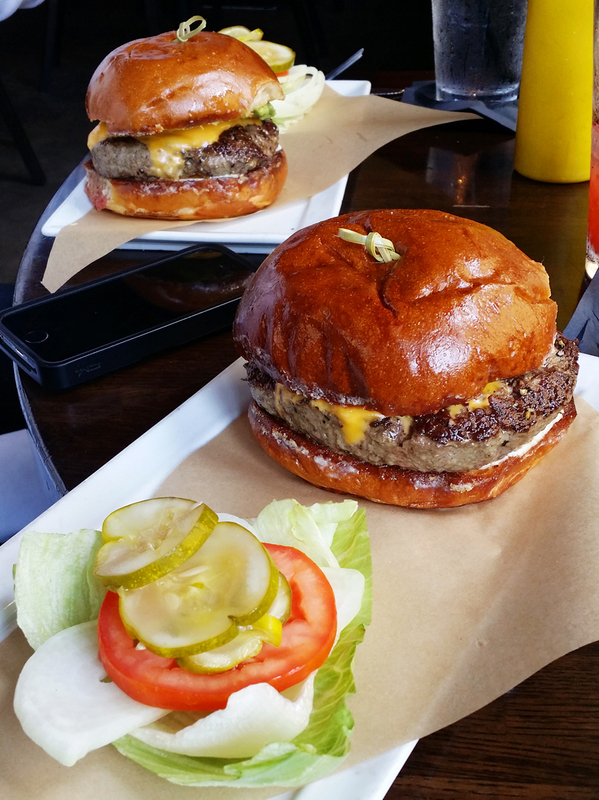 Their standard cheeseburger is good, but their Signature Pocket Burger is incredible. 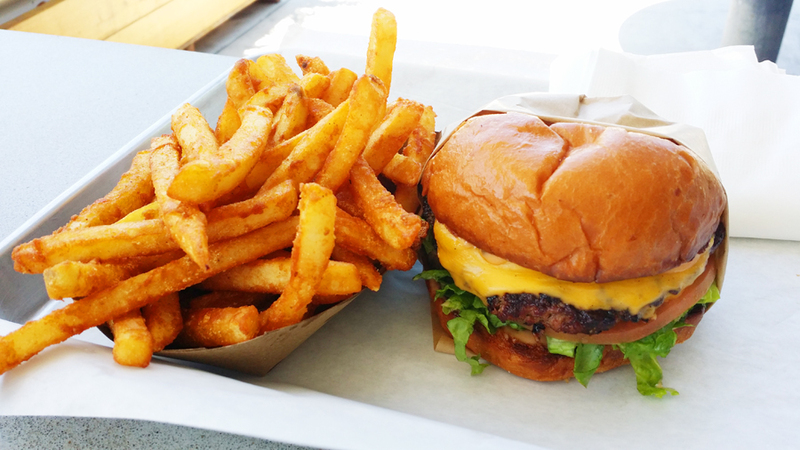 Be sure to put this on your list of must trys in HB. 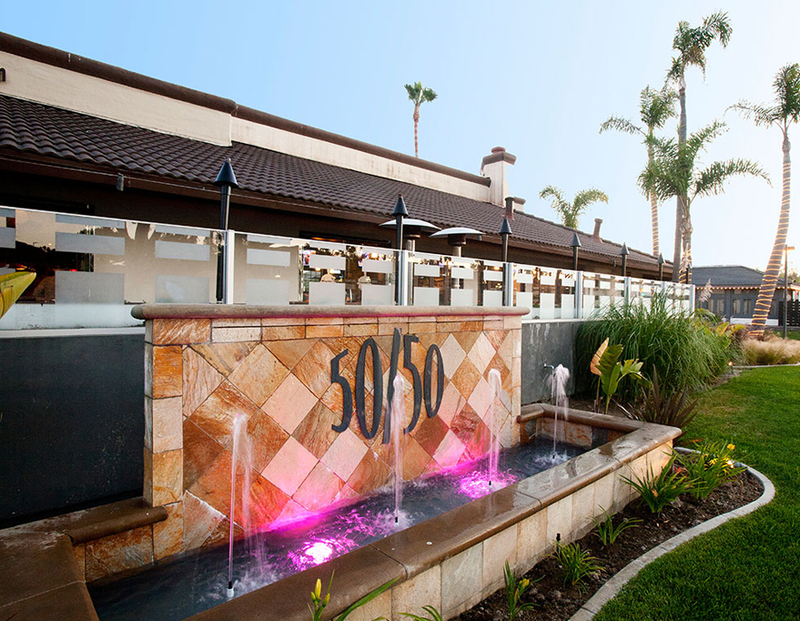 Slater’s 50/50 is another iconic place in Huntington Beach. If you like a blend of beef and bacon in your patty this is your place. 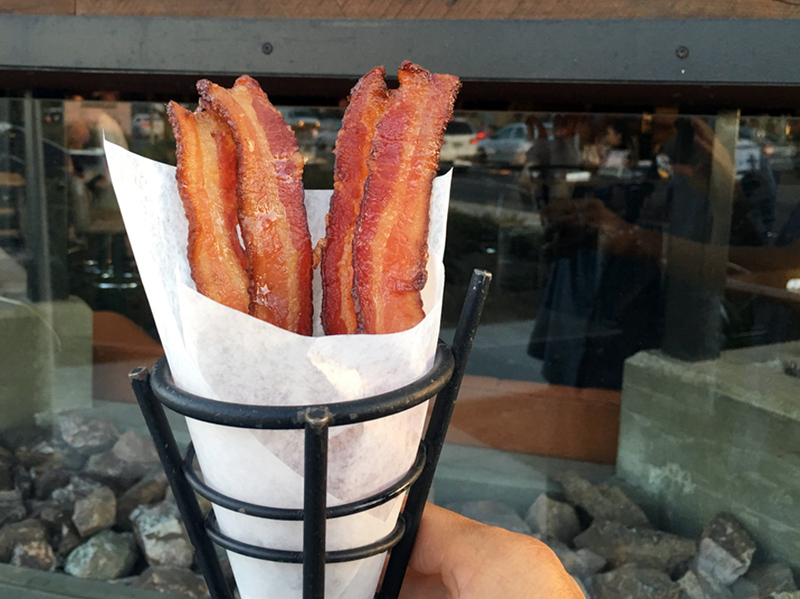 Try the bacon ketchup as well. Hope you enjoy this list. 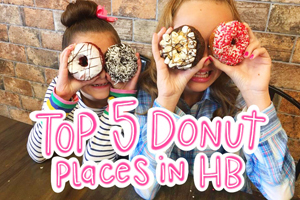 Comment below if you have any other places we should try. Thanks for letting us guys take over the blog for a minute. ps. Craving some delish Mexican Food this week? 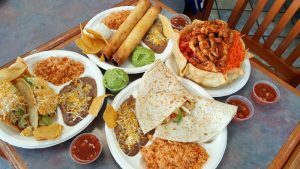 Check out our TOP 5 MEXICAN FOOD RESTAURANTS IN HUNTINGTON BEACH post HERE. 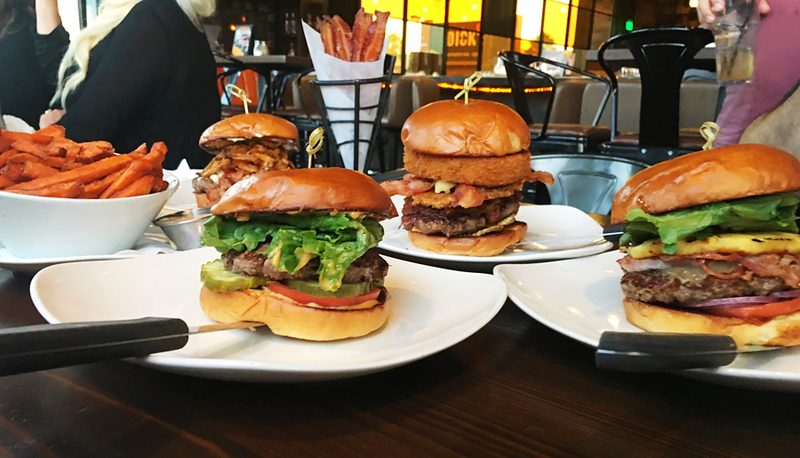 Stacked and Slaters 50/50 are not one off non-corporate burger joints. There are 5 Stacked locations across SoCal alone. 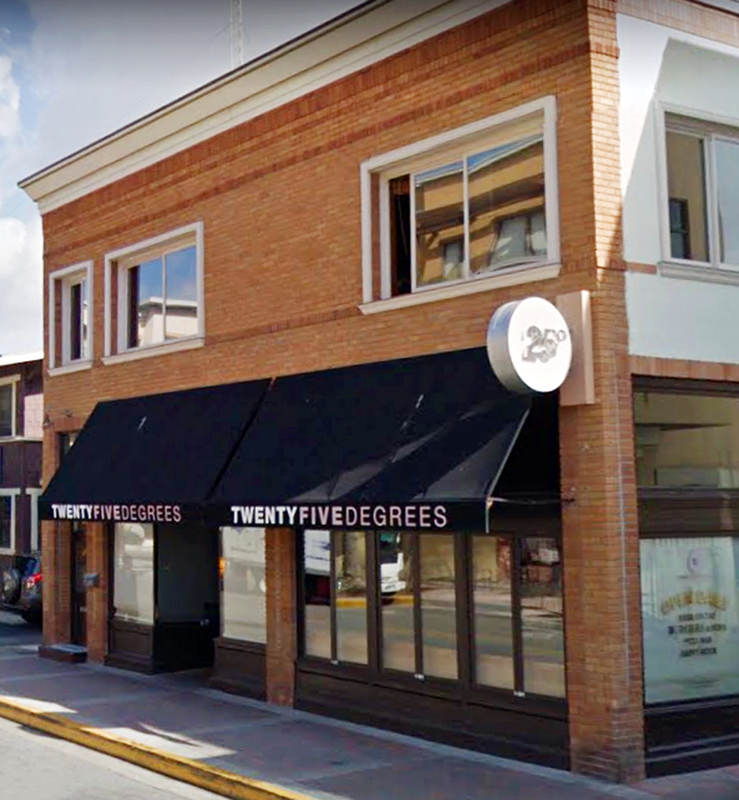 I think what they’re going for is non-chain restaurants. 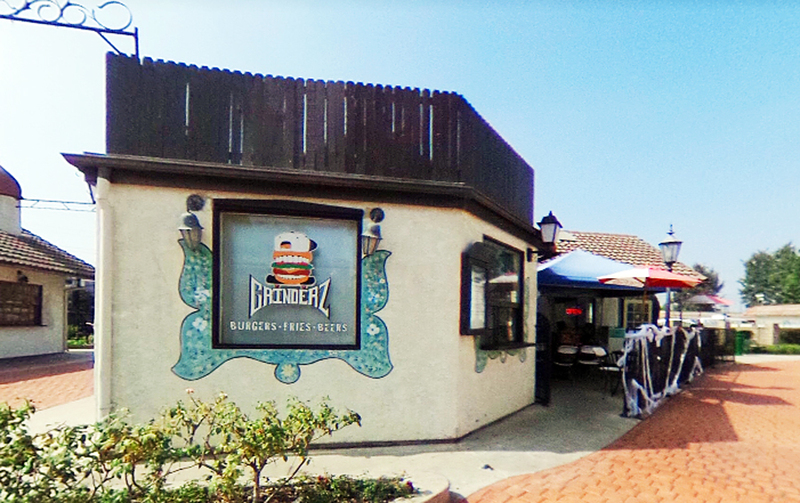 TK and Grinderz has several locations too so I think highlighting places other than In n out or Five Guys was the idea. 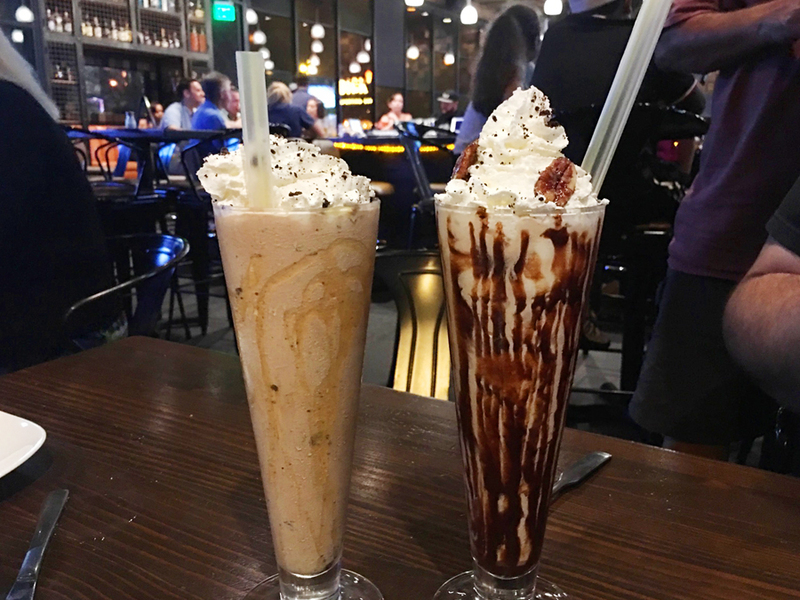 I will add that STACKED has some amazing food and their milkshakes are the best I’ve had. I’m always down for some good food. Burgers are by far my favorite. I know that there are some places around me so I’ll for sure have to make a trip soon.